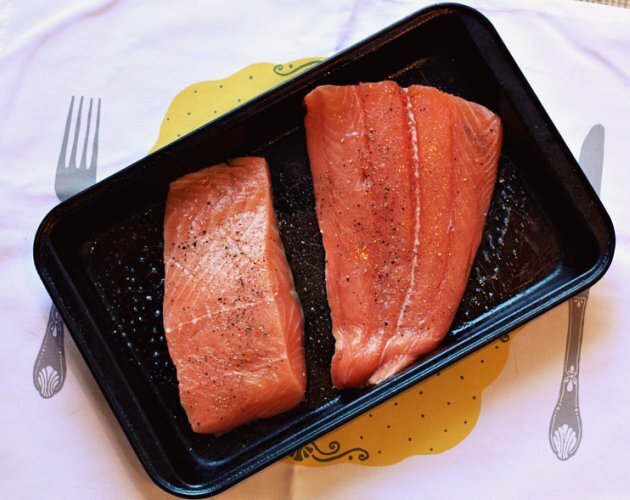 Okay… I realize how generic the title of this post is, and that most of you (probably all of you) know how to cook salmon. I, on the other hand have struggled for years. I have tried so many different cooking methods and I always mess it up. I am hear to tell you that I have finally found a tried and true method that (as long as I watch the oven timer) cannot mess up. It’s simple and basic, and works every time. The great thing is you can flavor it or add any sauce you like. When I’m in a pinch for a quick meal this is one of my go to staples. One pound of salmon and 12-16 minutes under the broiler and dinner is served. It’s never dry, it’s cooked perfectly every time. 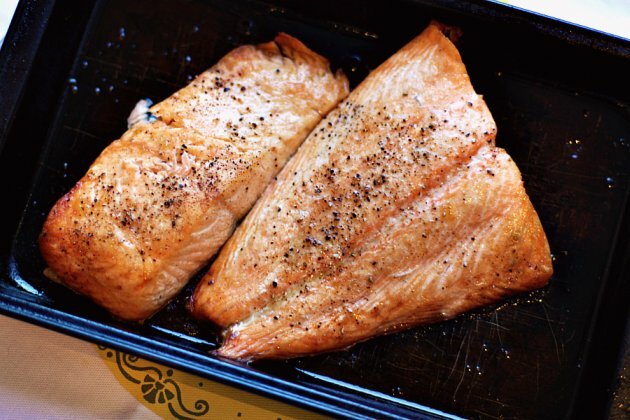 How To Broil Salmon: Turn your oven broiler to high and let preheat for about 7-10 minutes. Spray your pan with non-stick cooking spray. Place salmon on pan and season to your likeness. I normally sprinkle a little salt and pepper and squeeze a little lemon juice on top. Place pan on the middle rack of your oven. Set the timer and broil for about 12-16 minutes. The time will depend on the thickness of your salmon. When the top looks nice and crispy I test a little piece with a fork to make sure its cooked through. I love how easy this is. It has definitely increased our salmon eating (which is always good). This is a great post! People are always scared of cooking fish, this shows that it is as easy as anything else!